This post continues to discuss my journey as I run a series of movement workshops for actors in preparation for work in Motion Capture. I have completed the second workshop and the following will be documenting my process and reflection. When I originally began planning the overall content of the Embodying Your Mocap series, the idea of exploring virtual environments was not a significant part of the preparation process until after I had completed the first phase of the taster workshop. After some reflection, I had realised that a substantial part of the core work I had begun to explore had been centered around Space. However we had only used the explorations as a tool to encourage physical awareness of the working environment. I decided this needed to be explored further and with direct references to realistic shoot considerations in a MoCap context. I wanted to delve deeper into the relationship between the body’s movements and its surroundings, considering both actual and virtual space. This led to the enquiry of ‘how could an actor connect with an environment that could affect or enhance their physical performance?’ I was intrigued to discover ways of how they could transport themselves to an imagined location/virtual scene and what physical implications would emerge. The second workshop of the series was entitled The Virtual Body and Space. It was important to put an emphasis on the body in relation to the virtual world, and in particular within the context of Video Games but also to indicate the prominence of space as a performance factor as well as suggesting the possibility of exploring the specifics of ‘virtual space’. The workshop was divided into two sections; the first consisted of a detailed exploration of specific video game environments I had created. I wanted the participants to be able to imagine an environment but more importantly the elements within it. 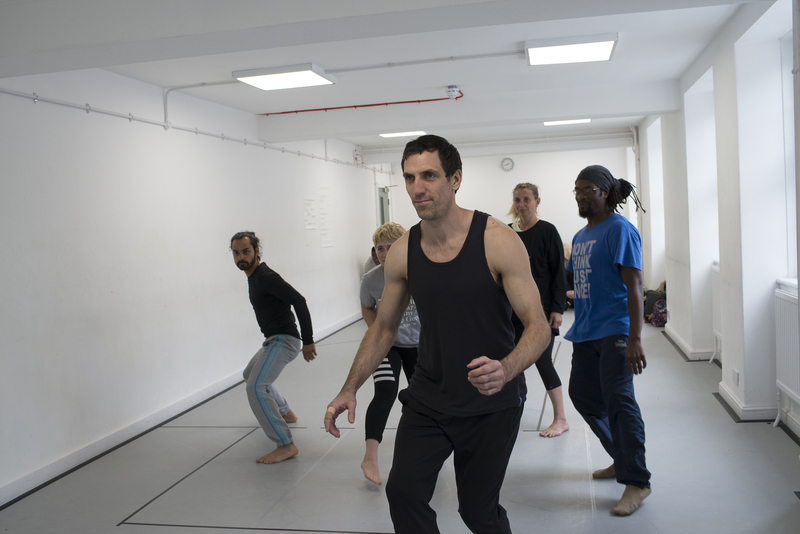 In one exercise, the participants were given ‘Environment Factors’, where they were to discover their physical connection to the imagined spaces and experience how this affected their body and movement. In Clip A, you will see the different movement qualities that were created through this exploration. This would later inform more complex character and performance choices. The second section of the workshop was focused on introducing Idle Poses* and encouraging an embodied understanding of this technical procedure. With it having quite a technical focus, I thought it would be interesting to use a game for the participants to experience a physical state of readiness. I decided to use ‘Grandmother’s Footsteps’ as a way to engage the participants in the physicalisation of readiness. By creating a playful moment, it allowed them to begin to discover a particular essence that was natural and free of inhibitions. As seen in the photos below, the participants began showing evidence of a physical state that was open and responsive with focus on their stance, centre of gravity and placement of breath. I wanted to use this physicality as a starting point for the participants to develop Idle sequences. In the following exercise, they were asked to put together a sequence of movements or actions that would begin and end with the same Idle Pose. This is similar to a direction an actor would be given in an actual MoCap shoot. 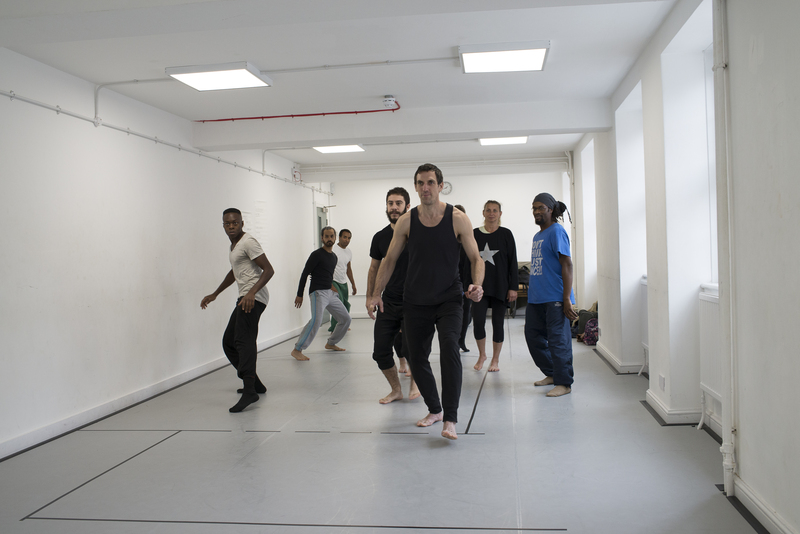 In Clip B, some participants can be seen performing their Idle sequences incorporating Environment Factors and movement transitions (such as walking, running, creeping, changing of direction). Through repetition of the sequence, the participant would find proficient ways to move in and out of their Idle, developing a seamless, direct and natural physical performance method. The workshop participants generally felt that the session allowed them to access their own movement and discover particular movement qualities in a different way. They were able to lay the foundation of character creation and its development using an in-depth and analytical approach but also developing an effective and efficient physical language that enables flexibility within performance work. This supports and strengthens my initial views on movement training benefiting MoCap performance through its applicability. It seems that the participants also picked up on this and one of them commented that the workeshop offered ‘a great opportunity to play and explore a movement quality applicable for Mocap‘. The main purpose of this workshop was to allow participants to use movement-based approaches to connect their imagination with potential virtual worlds in order to execute thorough performances and gain an embodied understanding of the technical procedure of Idle Poses. I intended for the Virtual Body and Space workshop to explore qualities of movement that reflected certain environments. I wanted the participants to find a physical connection to these elements before contextualizing it within a video game scenario. By doing this, they would have a physical experience and a sensory impression of the ‘space’. However, I had not anticipated that the participants would begin to create characters and scenarios of their own. They had naturally responded to these exercises by creating psychological journeys/stories driven by what was physically initiated to guide them through ‘their’ space. An example of this can be seen in Clip C with the participant on the left. Through his Idle sequence, he has clearly created a character that is moving through a particular environment, and in effect, producing a sequence of actions and a consistent line of intention. I found this quite refreshing as it was beginning to show evidence of what my following workshop will soon be exploring with building and developing character types. This third and final workshop will continue to utilize technical processes to support and contextualize the performance work created and will be shortly followed by a blog post documenting my discoveries and reflection. * An Idle or Base Pose is a video game animation term, denoting the range of positions the actor performs that will be placed at the beginning and end of an action sequence. For instance, an Idle Pose may be used when the player character is ‘paused’. Each movement would be stationary but still maintain a sense of life within it and would be flexible to move in and out of any action sequence. The title “Motion Capture” suggests there’s importance placed on the motion of the performing body. This post discusses my initial interest in Motion Capture leading to the creation of a series of workshops that I have called – Embodying Your Mocap. 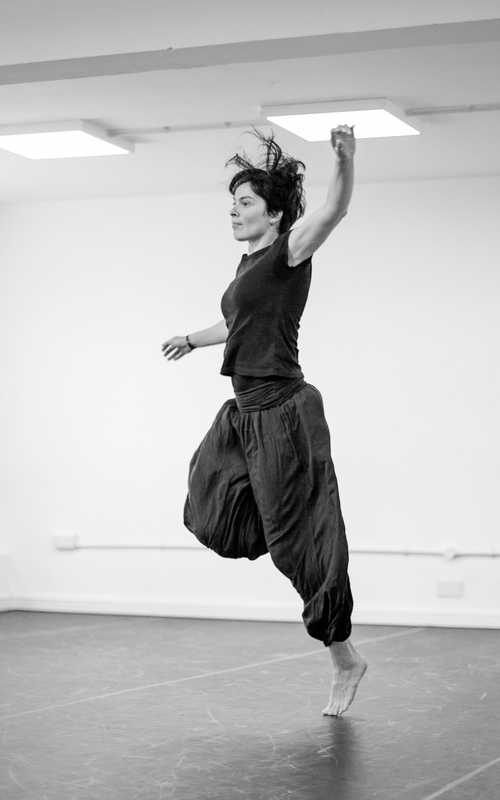 My interest in “mocap” began to take form whilst studying at the Royal Central School of Speech and Drama for a Masters in Movement: Directing and Teaching (previously Movement Studies). I had initially expressed this interest to my fellow classmates and tutors and in time I had come across a past student’s dissertation on the subject surrounding the actor’s preparation for work with mocap technology. At this point it was evident that there was awareness, however small it was, that actors had to enter this particular field with a slightly different approach than when working in film or theatre and that movement training could be beneficial to mocap performance. Andy Serkis was, and still is in some respects, the face of motion and performance capture and although his performances are fascinating, I was hoping to find examples of a deeper analysis of his physical work. Looking on YouTube, I found that many clips of motion capture performances featured scenes from Avatar and Lord of the Rings discussing the relationship between performance and animation but not an in depth examination of the aspects of the performance from a physical perspective. There was no real acknowledgement that there might be a different approach to working with mocap, that actors would need to consider how their performance was being perceived or “captured” and how this would affect them creatively. The title – Motion Capture – suggests that there is significance placed in the actor’s movements (motion) and the process of how this data is collected (capture). However, I felt that there was more emphasis on the capturing of the actor’s motion rather than the actual performance itself. I had discovered that during a typical shoot for a video game, it was most likely that any suggestions on the performance would come from the animator/supervisor who would be commenting from a technical perspective. Furthermore, there definitely was not a movement director present in the studio. This was something I had to investigate further and over the next few years I took part in various workshops and intensive courses that allowed me to get a deeper insight into the actor’s performance and what would be required due to the nature of this very unique industry. The inspiration behind the Embodying Your Mocap workshop series came from the need to create a regular movement training opportunity that concentrated on motion capture performance. Solely the physical performance. With this specific focus, there would be a natural separation from the specialized skills that are usually associated with motion capture in film and video games such as martial arts, stage combat, sword fighting and animal work. 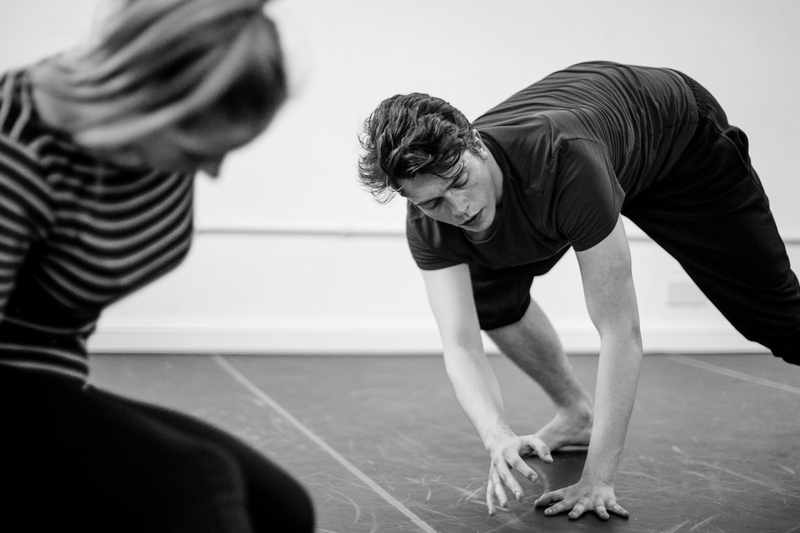 I wanted to delve deeper into the aspects of the actor’s physical work regarding the moving, performing body and how this could be utilized to create characters and enhance the general performance. Much like the way I’d approach a regular movement class, I wanted to explore the similarities between actor movement for theatre and motion capture performance. I also wanted to discover if the specific demands of the technology would make an impact on the performance. As well as researching the more technical side and working procedures of a typical mocap shoot, I began a line of enquiry by sending out a questionnaire to whom I identified as my “mocap contacts”. This consisted mainly of actors who had either experienced a professional shoot or those who were aspiring to enter this industry. The questions were based around the level of experience, what training they were currently doing to prepare themselves for work and the reasons why they felt movement sessions could benefit their on-going training. The response I received was very insightful. The more experienced actors noted the importance of the creative aspects of their work such as the creating of characters, imagining environments and ultimately their physical acting performance skills as a whole. Generally, I learnt that actors wanted specificity regarding the technical requirements of the movements that were captured. They craved opportunities that would allow them to engage in created environments with various characterisations that encouraged full immersion into virtual world scenarios physically and psychologically. Some actors also wanted opportunities that would prepare them for working with physical obstacles such as suits/markers, camera angle awareness, props etc. On the basis of these responses, I decided that multiple workshops could be more beneficial than trying to squeeze all the material in one session. Only 3-4 sessions, mind you, but nevertheless each one covering a particular area in a fruitful and productive way. These would include exploring movement components such as weight, space and body shape in performance, character types and imagining virtual environments. Thenceforth the Embodying Your Mocap workshop series was created with the taster workshop being launched on 21st May 2017. Within the taster, I wanted to create movement exercises that were influenced and informed by particular mocap procedures so that the material had noticeable reference points. For example, I used the process of ROMs* to create the basis of the warm up, highlighting areas of the body (mobilising joints/strengthening muscles) that would be in use within the work that we’d continue to explore. For instance, lubricating the ankle joint and engaging with the soles of the feet informed the movement seen in the picture below where the participant is jumping during a travelling exercise. The main aim was to release the body, opening the ‘backspace’ and using the floor for take off and landing. 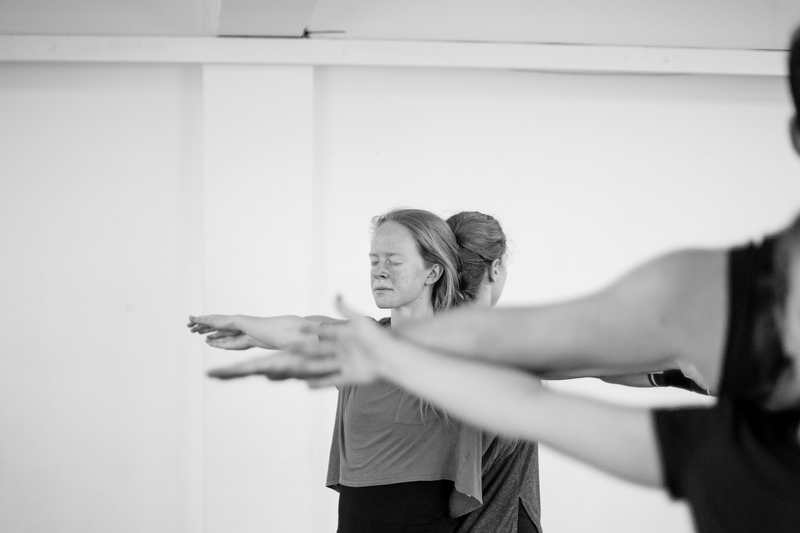 I had also used the T-Pose** (as seen in the picture below), as a way of connecting the participants with the sensations of their movement and drawing attention to the surfaces and core structure of their body. The overall content of the workshop was based on movement components that I felt were the main factors of a well executed motion capture performance. This included the awareness of the space surrounding the body and performing 3-dimensional organic movement. Using an analytical approach in these explorations, I wanted to provide a space for the participants to investigate their own natural movement to understand how this can be applied to performance and character work in Motion Capture. The Motion Capture industry is not as accessible as other art forms and because of this, artists and performers are intrigued to know ‘how does it work?’ and specifically ‘how does it work in relation to my work?’ My intention is to develop an accessible approach to motion capture performance and thus, by giving a little insight into the world of mocap, allow performers to stretch their physical performance skills to a new dimension. My ultimate aim with the Embodying Your Mocap series is to provide a seamless merging of technical knowledge with movement exploration and self-discovery. This then allows the participants to inform their performance through a clear understanding of what the technology requires of their physical work. Furthermore, I am using these workshops as a way to formalise a method to approach motion capture performance that considers significant technical factors which could have an impact on the performance quality. The next workshop I will be running will be looking at using some of the tools introduced in the first session to explore virtual environments and creating in-game content and procedures linked to video games. The blog post will be another sharing of my reflections on the workshop and its outcome. Overall I hope to use these blogs as a platform to start a dialogue with others interested in Motion Capture, actor performance and movement training. * ROM stands for Range Of Motion where the actor moves each body part for the animator to track the markers on the body and see how they move in relation to the rest of the body. ** A T-Pose is the position the actor stands in for the animator to locate the markers on the body in order to create a digital skeleton. Encouraging selfishness in applied theatre students – surprises arising from a community project.